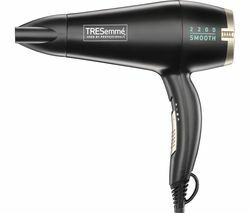 You don’t need to be a hair stylist to own a professional hair dryer. Almost anyone can find a use for one, from styling to blow drying, what will you use your hair dryer for? When it comes to creating the perfect look, your hairstyle is as important as your clothes, but if your hair dryer isn’t up to the job, it’s time to invest in a new one. We have all the latest models and our range of hair dryers come in a variety of colours and styles, so you’ll always find one you like. 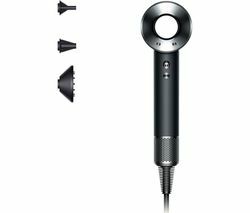 There are powerful hair dryers that can help straighten the curliest hair and dryers with diffusers to ramp up those waves on straight hair. 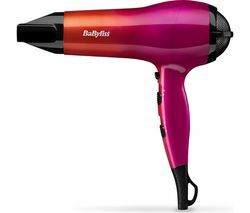 And if you’re looking for something more compact there are plenty of smaller models that are ideal if you want to take your hair dryer with you when you’re off on your travels. 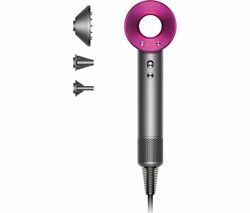 Our Dyson hair dryers are great at creating the perfect barnet and if you want salon style results after washing your hair, check out our Remington hair dryers. All our hair dryers are powerful enough to give you the results you want, and regardless of your hairstyle, you’ll be ready to leave the house in no time.